* a journey through the universe. Here are my considerations about these different points of view. Both the Italian XVI Century essays about the meaning of the trumps interpret the last trumps as a representation of the order of the universe, intended to guide us to the contemplation of God through the perfection of the universe he created. knowing him, we love him.” (La contemplation del quale ci dimostra per l’opere sue maravigliose, et belle dottamente l’Auttore nelle sette figure seguenti, accioche conoscendolo l’amiamo). The idea is that the heavenly bodies are so marvelous in order to induce men to love God. St. Augustine wrote: “Your works praise you so that we love you” (Laudant te opera tua,ut amemus te). Since this concept was extremely common, and the order of the universe was often represented as evidence for the power of God, this is possibly the simplest and most conservative explanation. * the Final Judgment does not fit in a cosmograph. The cards was know as the angel since early times, but its iconography is quite consistent and it actually illustrates the resurrection of the dead before the Final Judgement. A relatively minor problem is the position of the star: the sphere of the Moon was the lower of the heavenly sphere. The “sub-lunar” world was the realm of perishable things. All the stars were thought to be above the Moon. So the sequence should have been Moon, Sun, Star(s) or Moon, Star, Sun. A possible answer to this problem is that the cosmology has been ordered as a hierarchy of light. Le Comte de Mellet, in his essay included in Gebelin's Le Monde Primitif, wrote that “like the Egyptian writing which reads to the left or the right, the twenty-first card, which was not numbered with an Arabic numeral, is nonetheless also the first, and must be read in the same way in order to understand the history”. * The tower: the expulsion from the garden of Eden. He expresses his theory in a pseudo-Egyptian style, but actually what he sees in these trumps is very close to a summary of the biblical Book of Genesis. 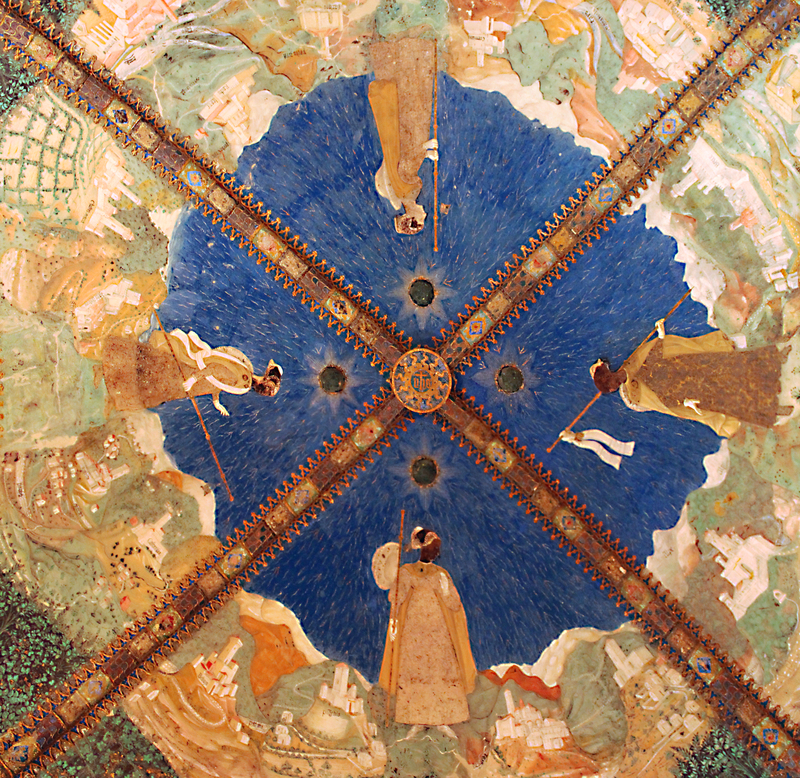 * judgment is totally and deliberately misinterpreted (also De Mellet could recognize the resurrection of the dead: an angel sounding a trumpet, and the men leaving the ground, had to induce a painter, not very well versed in mythology, to see in this picture only the image of the Resurrection; but the ancients looked upon the men as children of the Earth [The teeth sown by Cadmus, etc. ]; Thoth wanted to express the Creation of Man by painting Osiris, a generating god, with the speaking pipe or verb which orders matter etc.). Gertrude Moakley sees an eschatological message in the last trumps, since she interprets the Stars, the Moon, the Sun, Judgment and the World as an illustration of the Petarchan Triumph of Eternity. Actually, also the Devil and the Tower (e.g. as the destruction of Babylon) appear in illustrations of the Apocalypse or of related End of Times texts. An end of times, eschatological narrative is also the interpretation proposed by Michael J. Hurst. The Douce 134 manuscript linked by Huck and related to the XV Signs of the Last Judgment (XV Signa ante Judicium) presents images corresponding to all of the last trumps. The End of Times narrative of course solves the problem of the Judgment trump, which is clearly and unambiguously related to Christian eschatology. It also explains the different forms of the World card, since the last vision of the Book of Revelation is described as a New World, a Heavenly Bride, the New Jerusalem and is often represented as a triumphing Christ. So, the light of the new Jerusalem “trumps” that of the Moon and the Sun. The four last things were used to summarize Christian Eschatology: Death, Judgment, Hell, Heaven. Two of the four (Death and Judgment) are clearly present in tarot. Hell and Heaven could be represented by the Devil and the World respectively, but of course this is not so obvious. The Tower has also been interpreted as Hel (e.g. by Vincenzo Imperiali or le Tarot de Paris) but, on the basis of early Tower cards, it seems unlikely that this was the original intended meaning. In general, the problem with the End of Times explanation is that it is difficult to find a narrative that perfectly matches the subjects of the trumps and their order. Possibly, the best candidate remains Matthew 24. The cosmograph can also be interpreted as journey through the different places (or spheres) that compose it. If this journey is interpreted as a mystical one, i.e as a vision due to the contemplation of the order of the universe, this is not so different from a generic “cosmograph”: the word “journey” is only used as a metaphor. This is the kind of “ascent” that Piscina and the anonymous author speak of. As I said before, this interpretation is attractive, and its main fault is that it cannot explain Judgment. The problem with a more literal interpretation of the journey is that many non-Christian religions actually believe in an eschatological journey of the soul after death (e.g. the Egyptian religion, or also classical paganism), so it's easy to misinterpret a Christian metaphor as a pagan truth. I don't think that this non-Christian interpretation can add anything to the comprehension of the cards. In particular, it would leave the problem of the Judgment card open: since Judgment is a Christian concept, how can it coexist with an non-Christian view of the after-life? And is this “journey” accomplished by the soul before it is judged? There is also a strictly iconographic consideration that makes the “journey” interpretation unlikely: when illustrations of many different places were meant to represent a journey, the people performing the journey were repeatedly represented in each, or most, of the locations. Think for instance of the illustrations of Dante's Commedia. A cognate closer to early tarot is the journey of Bianca Pellegrini in the Torrechiara Castle. For me the "hierarchy of light" is sufficiently explanatory for the ranking of the four cards Lightning, Star, Moon, and Sun. Cosmological considerations, how they might represent some particular text or cosmograph, miss the point, in my opinion. They are just a vivid and easy-to-remember sequence of lights in the sky. I think the tower in the Lightning card is a prop, something for the lightning to strike. Lightning strikes tall things, like towers, often with stunning effect. But the subject of the card, the reason for its place in the sequence, is lightning, a thunderbolt, a light in the sky, the lowest kind of fire in the heavens. The "Belgian" tradition, like Vieville and Vandenborre, has the lightning striking a tree, while Mitelli had it striking a person. I think the tower, the most common prop for the thunderbolt in the tradition, has misled interpreters over the centuries, moreso even than the other decorations or props under the other light-cards. I myself spent years with it, and worked out a very complex group of associations for it; but the "Tower" is a red herring. The Mondo and Angelo, while celestial and cosmological in the broadest sense (i.e. including the element of time, as in the end of it), are not conceptually part of the "lights" sequence. They are just the two highest cards; but of course they belong at the end of the "third section", since everything is implicitly contained in the "World", so it is the biggest thing conceivable, and the end of this everything is represented by the Resurrection. Eternity per se is not represented (although it is implicit in it, as is the Last Judgment and all other eschatological doctrines, if you want to think about them); it is not Petrarchan or Dantean. Ross G. R. Caldwell wrote: For me the "hierarchy of light" is sufficiently explanatory for the ranking of the four cards Lightning, Star, Moon, and Sun. Cosmological considerations, how they might represent some particular text or cosmograph, miss the point, in my opinion. They are just a vivid and easy-to-remember sequence of lights in the sky. I think the tower in the Lightning card is a prop, something for the lightning to strike. A couple months ago you posted something very much like this, and I asked how this differs from Dummett's view. You wrote: "I don't know what difference there would be between his explanation, had he cared to offer a more detailed one, and mine, which I am writing up." Most would-be Tarot exegetes have either completely ignored or distorted and marginalized his views, and none have answered his challenge. I have always considered it -- albeit more broadly conceived -- to be the strongest position yet put forth. Most of what is written in books and online is childishly silly, which only confirms the view that there is no systematic iconographic programme in the trump cycle. Dummett didn't feel any need to explain his view further, which is unfortunate. The selection and ordering is clearly not random in the most extreme sense, and Dummett's own analysis provides the best evidence of a general scheme. (As you wrote, "...passages in the quote above show that Dummett himself was not quite satisfied by the “pulled out of a hat” scenario, but he had nothing better to propose. However, his discovery of the three groupings was advancement enough....") More carefully stated, his phrase "rather random selection", as he elaborated it, implies that there was no detailed iconographic design which would explain the exact arrangement of the subjects. For most decks, this is confirmed as an historical fact (rather than an unconfirmed hypothesis) by the dozen+ different orderings. 15th-century Italians did view the trump cycle in that manner. Moreover, an analysis of a small section, as you offer here, shows in detail how the subjects are consistent with his view. So, asking the same question in slightly different words, it seems as if he wrote the abstract for an iconographic analysis which you are completing -- is that about right? I have a theological question. In the 15th century, when people died, what happened to their souls before the Last Judgment? My impression is that, allegorically or literally, there was a judgment immediately, and people went to Hell, Purgatory, or Paradise according to that judgment, even before the Last Judgment. Otherwise how could Dante have met all these people in these places in the year 1300? And how could Christ have freed Adam and Eve after his crucifixion, if they weren't already there? In that case, their souls would be in the afterlife while their bodies were in their graves, and then at the Last Judgment the two would be reunited, as a necessary condition for immortality. Or did the souls just sleep, dreamlessly, in their graves until the Last Judgment, and their punishments start then? In the case that there was a judgment immediately after death, for the soul without the body, it seems to me that Judgment and World (except in the case of the Cary-Yale, where World is more likely "Fame") would correspond to the "Eternity" part of Petrarch's poem, and that the celestials, which might include Devil (sphere of air) and Fire, would correspond to what happens after Death, the "Time" part (and maybe also "Fame"), this-worldly in Petrarch, but for the tarot in the other world, of the soul before the Last Judgment. However I don't know my 15th century dogma. So I will wait before I say more. mjhurst wrote: So, asking the same question in slightly different words, it seems as if he wrote the abstract for an iconographic analysis which you are completing -- is that about right? I can only suppose that it is, since I don't know what he'd make of my claims for the priority of the southern sequence. I sometimes wish that he knew in the 1980s what we know now about Florence, since that seems to have been the last decade when he was really still refining his overall theory. In terms of the choices of A, Florence or Bologna, the only card that might make a difference to the interpretation of groupings is the placement of the Chariot, whether it is above or below Fortune. Florence has it in both places, Bologna only one. I think it has to be with the Virtues (higher or lower doesn't matter for the grouping, as long as they are all below Fortune), and for that and other reasons I pick the Bolognese sequence as representative of the designer's intentions for the groups. I see the Florentine placement of the Chariot above Fortune as a disruption, a narrative imposition on the sequence (conquering Fortune), much like the far more prevalent playing around with the placements of the Virtues to establish other narratives in other traditions. But for the three sections, yes, this is where I think Dummett hit a rich vein of Warburg's historischen Psychologie des menschlichen Ausdrucks. It explains how the designer conceptualized the sequence as a whole, in the most general terms. You can characterize them as terrestrial, moral, celestial, or mundane, conceptual, heavenly, etc. Those three types of subject matter don't explain the choices of subjects or their number in detail; the genre (or "function") of a work largely determines that. mikeh wrote: I have a theological question. In the 15th century, when people died, what happened to their souls before the Last Judgment? My impression is that, allegorically or literally, there was a judgment immediately, and people went to Hell, Purgatory, or Paradise according to that judgment, even before the Last Judgment. Otherwise how could Dante have met all these people in these places in the year 1300? And how could Christ have freed Adam and Eve after his crucifixion, if they weren't already there? In that case, their souls would be in the afterlife while their bodies were in their graves, and then at the Last Judgment the two would be reunited, as a necessary condition for immortality. Or did the souls just sleep, dreamlessly, in their graves until the Last Judgment, and their punishments start then? I think the common belief matched the dogma pretty much, that is that souls get their reward or punishment right away upon death (see "particular judgment"). The "general judgment", at Christ's return, is coincident with everybody's resurrections. Thanks, Ross. Now I can comment on Marco's original post. I think that most people agree that these cards are “after Death” because they represent something eternal. They are "after Death" in the sense that they are after that card. But "Death" was also standardly taken metaphorically at that time, as the extinction of the passions, or a passion. Also, according to the doctrines of Christianity, the "Last Judgment" was not something eternal, but a specific and rather short time at the end of the world. The stars, moon, and sun weren't eternal either. The only eternal things were Heaven and Hell. The New Jerusalem wasn't eternal in the sense of always existing; it is a creation of the last days. But it doesn't end, so in that sense is eternal. In this context, it is not absolutely definite which cards are in this last section, or even if it's just one section. Ross doesn't include the Devil. Dummett once included Death. If it's just on the basis of what cards didn't move around in a section,excluding the virtues, you could also include the Hanged Man, which was almost invariably number 12. It seems to me that a case could be made that Judgment and World/Fama are a different section, or subsection. The Cary-Yale has none of the five or six cards between Death and Judgment, quite a coincidence to me. And the order of the five cards Devil-Sun is invariably the same, unlike Angel/World. Both of these facts suggest to me that the five were added to the deck after it already had the other two. Conceptually, in any case, they are different. The five are all things that exist now, as they are depicted. 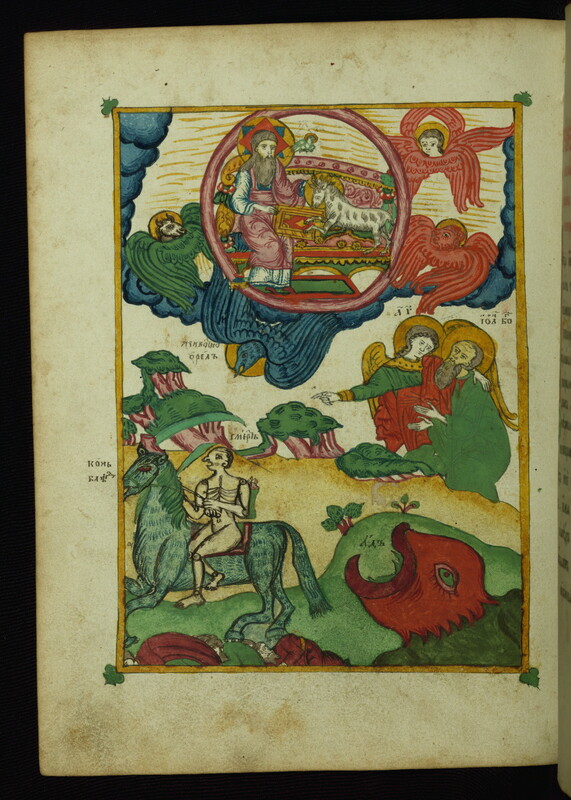 The Last Judgment, with its tombs being opened and the trumpeter, is definitely not now. Why wouldn't it fit into the last sphere, the Empyrian? It's when the saved are united with the saints with Christ. I don't think this is a minor problem for the "cosmograph" model. It is a big one, since it involves backtracking from Venus, at least, to the Moon. Does that then represent a setback in one's ascent, in meditation or as a disembodied spirit? That does not seem very logical. From my limited reading, I see two ways of solving the problem. One is from Dante. The Fire card represents the mount of purgatory, and the Star card represents the top of the mountain, where the two streams of forgetting and remembering are, which must be drunk to ascend further. The Star is then Beatrice, or else that which is above purgatory, i.e. the planets, fixed stars, and Heaven. The other way is with a combination of pagan sources, which is probably what Dante used. Porphyry has the two gates of the Cave of the Nymphs, one going up and the other going down. Plutarch has the "Meads of Hades", without gates but in the right place, just below the Moon and above the fires of Hades, a good place to have put them (instead, he puts his "Gates" up and down on the Moon). Pausanias and other sources have the Oracle of Triphonius (http://en.wikipedia.org/wiki/Trophonius), which is on earth but gives access to an otherworldly space and has the waters of remembering and forgetting. These pagan sources are particularly good for explaining why devil, fire, star, moon, and sun, in that order, and only those, out of the numerous other spheres on the cosmograph. That of course is also true, such as can be called "true", for the "Journey of the Soul" interpretation, too. But the standard Catholic interpretation of the Book of Revelation was that it applied to the present and past, allegorically, as well as the end times, literally. This was established by Augustine in City of God Book 20 (http://carm.org/augustine-city-of-god-book-20) and very much part of humanist consciousness. For example, Petrarch referred to Avignon, the seat of the papacy then, as "Babylon". Dante put the Apocalypse imagery at the end of his Purgatorio, etc. In the 13th century, Popes and Emperors routinely called each other the Antichrist. None of them meant that the End Times were here. So the cards likewise can employ imagery from the Book of Revelation (and its predecessors in Daniel and Matthew) to refer to the present or the past; they can also employ imagery from Genesis or the Jesus story to the same purpose, even in this last section. There is no star here and also no hierarchy of sun and moon. The two are just listed. Nor does it say that the New Jerusalem is brighter than Moon and Sun. And the cards do not show the sun and moon as not shining. That's hard to do; in one Revelation illumination of this scene, first they are shown in a cloud ("darkened", I suppose)--together--and then in the next illumination they are gone (http://www.metmuseum.org/collections/se ... 869?img=70 and the following one, 71). But the artist seems to have missed Marco's point about trumping, because the New Jerusalem appears darker than before! It is true that there was a lot of imagery in books and paintings at the time of the tarot pertaining to the Book of Revelation and the "End Times". So no doubt this imagery was used for inspiration, especially since we see the same kind of imagery: falling towers all over the place, trumpets blaring. Hopefully the Church would approve. One section that has all five celestials is the "Woman clothed with the sun" chapter. In the book I just linked to, the artist has managed to get them all in. The lower left of the illumination even has the little circles on the Cary Sheet/Marseille cards, falling in the air, onto a tree and a farm animal, as in the Vieville Fire card and probably the Cary Sheet (the tree being along the left border). Five bestial personifications of thunder roar beneath a drifting cloud. Hail and lightning fill the sky, recalling the sounding of the first trumpet. A frightened bull is caught in the midst of this; an earthquake suddenly unsettles the ground beneath him, sending a tree with its roots hurling through the sky. I hope this makes it clear that I am not against seeing "Last Days" imagery in some of the cards. However the justification for the "hierarchy of light" isn't there in particular; there's nothing about the light of New Jerusalem being brighter than the sun's, and before that the moon's, and before that, the lightning's, and before that the air (clouds), and before that the earth, and before that under the earth. It's just that as you get closer to God, the more illumined you are, in most every culture. The "hierarchy of light" was probably there, in these five cards, before any of the Last Days imagery; what we see, in the PMB and elsewhere, seems independent of it. If anything, the PMB suggests the incarnation: Star of Bethlehem, virgin, child. But that is a theme that repeats in the "woman clothed with the sun". So also the Last Days fit, as does a "journey of the soul" through an abbreviated cosmograph. In the tarot, it's a progression that has been growing ever since the dark days of the Hanged Man. I am not sure why you move to a "more literal interpretation of the journey". The pagans of late antiquity, i.e. Christian times, did not hold to any journey of the soul after death as literal truth, if you mean the Platonists. Plato did not believe that there was literally a chariot or person with wings ascending to heaven; how much of this corresponded to the truth, he didn't say. This is all allegory or metaphor, the same as for 12th century Christians who wrote or drew very similarly (as described in the book Mysticism and Heresy, http://www.amazon.com/Mysticism-Heresy- ... 1780185103; see e.g. ch. 26, Bernardus Silvestris's Cosmographia, with its five feminine creator goddesses, a book he read to the Pope). They all saw "through a glass darkly". Likewise for Plutarch in "On Isis and Osiris" and "On the Face that Appears in the Orb of the Moon". In the former, he explicitly gives an allegorical interpretation of Egyptian myth, in terms of the "good principle" and the "evil principle". The same for Porphyry in "Cave of the Nymphs". The Renaissance understood this. I don't think that this non-Christian interpretation can add anything to the comprehension of the cards. If by "this" you mean "these allegorical non-Christian", that's a matter for discussion. I think that whatever was read and commented on favorably in 15th-16th century humanist circles is fair game for interpreting the tarot of that time. Petrarch advised, in regard to things from a former era, to use whatever interpretation was useful and the truth. And it is not a question of "adding" anything. If a text or image is useful, it's ok to use it; even if others can be used to make the same point, it makes it from a different perspective. The Renaissance didn't think in terms of parsimony, far from it. Christian doctrine about Revelation, to the extent Augustine had anything to do with it, was formed in a Neoplatonist context; those were the texts he read and adapted. Why not the Renaissance as well, now that they had them? Plutarch, Porphyry, Pausanias, etc. serve as good amplifications that can fit into a sophisticated philosophical framework. Plutarch is particularly good for explaining just why it goes devil, fire, then a nice place not so well described, then moon, then sun, only these, and in that order. And there were also more fragmentary sources, which for the Renaissance meant older, closer to the prisca theologia: the Chaldean Oracles, the Orphic hymns and fragments, and the Hermetica. In particular, it would leave the problem of the Judgment card open: since Judgment is a Christian concept, how can it coexist with an non-Christian view of the after-life? We must therefore understand it of a certain divine power, by which it shall be brought about that every one shall recall to memory all his own works, whether good or evil, and shall mentally survey them with a marvellous rapidity so that this knowledge will either accuse or excuse conscience, and thus all and each shall be simultaneously judged. Well, paganism doesn't have the "simultaneously". But I suspect that there is much from paganism that does apply, at least as quasi-philosophical amplification of a general theme that is also in Christianity. So there's one interpretation to satisfy the masses and the preachers, another for the humanists, by which I don't mean just the court poets, studio professors, and tutors, but notaries, many clerics, and probably many craftspeople as well. And is this “journey” accomplished by the soul before it is judged? Allegorically, there are many judgments. Plutarch says (Moon 943), "Unjust and licentious souls pay penalties for their offences", while the good souls merely have to shake off the "pollutions contracted from the body" in the gentlest part, the "meads of Hades". Then on the Moon they have to undergo penalties for crimes committed while being spirits (944). Later, they may be granted the privilege of returning to help mortals, and if they abuse it they have more penalties . Meanwhile the "ascent of the soul" was like a kind of natural process; the less weight a soul carried around, the higher it would go, toward its natural place, drawn by love for the Sun. For even the devils pray that they may not be tormented,(1) which proves that without injustice they might either be spared or tormented according to their deserts. If the cards represent a journey for the person playing the game and looking at the cards, having someone on the cards who is taking the journey is not helpful. It suggests that the journey is someone else's, Dante's or whoever, and not one's own. Also, in games, there sometimes is and sometimes is not such a figure. In chess, there isn't. The player is like an unseen general who manipulates the figures in an effort to win. He or she is not the King or the Queen or any other piece. It is the same in card games, generally. There is no card that represents the player. The player is the one who plays his hand as best he can. It should be the same with the sequence of trumps. To sum up: It seems to me that if the final section has to do with our relationship to the eternal world--or better, since in Christianity the sun, moon, stars, and the four elements are all destroyed--the superterrestrial world, the world beyond this one, either physically or spiritually, in time or out of it--then any classical or Christian imagery valued at the time and relating to that world is fair game, especially that which tends to organize the cards into, or respect the organization in, the sequence we have. Genesis is OK, the Book of Revelation is OK, the Book of Job is OK, Augustine is OK, Plato, Aristotle, Plutarch, and Porphyry are OK, etc. mikeh wrote: To sum up: … if the final section has to do with our relationship to … the superterrestrial world, the world beyond this one, either physically or spiritually, in time or out of it--then any classical or Christian imagery valued at the time and relating to that world is fair game, especially that which tends to organize the cards into, or respect the organization in, the sequence we have. Genesis is OK, the Book of Revelation is OK, the Book of Job is OK, Augustine is OK, Plato, Aristotle, Plutarch, and Porphyry are OK, etc. your conclusion is not perfectly clear to me. I don't understand if the partial list of OKs is to be seen as disjunctive or conjunctive. If Socrates is an animal, he can be an insect or a bird or a man etc. If this what you mean, you are saying you have understood very little about Socrates. You have read Plato, a number of books about the history of philosophy, but you cannot really say if Socrates is a bee or a goldfish. If Socrates is an animal, he is an insect and a bird and a man etc. at the same time. Since this conclusion is logically incorrect (and since it is very difficult to imagine this insect-bird-man monster) I guess that you meant your statement to be disjunctive. At least, we agree on the fact that Socrates is an animal. mikeh wrote: In this context, it is not absolutely definite which cards are in this last section, or even if it's just one section. Ross doesn't include the Devil. Dummett once included Death. If it's just on the basis of what cards didn't move around in a section,excluding the virtues, you could also include the Hanged Man, which was almost invariably number 12. No, it's not just on the basis of what cards didn't move. Dummett and Ross can see a structure in the trump sequence. Dummett wrote that “the second group of cards could be described as representing conditions of human life”; the third and last group “represents spiritual and celestial powers”. Since the hanged man has nothing to do with “spiritual and celestial powers”, while “treason” is one of the accidents of human life, the Hanged Man belongs to the second group. But, indeed, if you cannot see meaning, you are left with only the evidence of the cards which didn't move in the different orderings. About the division into three, Marco, all I wanted to say was that how you divide the groups depends in part on what meaning you see in them; it's not that first there are the groups, and then the meaning; in part, you have already put in the meaning you wanted when you made the division into groups, because there are other ways of making the division. The other parts, more objective, include the differences, commonalities, and family trees among the various early orders, the various titles given for the cards, and the actual images that have been preserved, and the context of other texts and images available at the time. If you want to follow Dummett's later view of the "last trumps", that they start with the Devil card, that's fine as a working assumption. Some might say "hierarchy of light" is the defining feature and start with Fire. Others might start with Death. I myself have no opinion. The different frameworks you've suggested--Cosmograph, Last Days, Journey of the Soul--may suggest groupings themselves, I don't know. I see no reason to be unalterably wed to Dummett's characterizations, although they are certainly good to hold to unless something better comes along. But that means being open to other alternatives. Meanwhile, I want to say something more about the concept "Last Days", how 15th century humanists would have seen the Book of Revelation and the "Last Days" scenario. It is clear from Augustine that the Book of Revelation would be interpreted as pertaining to the past, present, and future, before the Last Days. On the one hand, it gave them great images for demonizing Muslims, Jews, and their fellow Christians. That would have been useful for showing potential patrons what good propagandists they were. But there were other, more meaningful perspectives. In particular, as a "journey of the soul". For one thing, there was the example of Dante. He put his apocalyptic passages mostly in one place, the top of the Mount of Purgatory, in the context of his journey through the afterworld. He framed it not as future history but as personal narrative, for the education of his soul. 24 For as the lightning that lighteneth from under heaven shineth unto the parts that are under heaven, so shall the Son of man be in his day. 25 But first he must suffer many things and be rejected by this generation. 26 And as it came to pass in the days of Noe, so shall it be also in the days of the Son of man. 27 They did eat and drink, they married wives and were given in marriage, until the day that Noe entered into the ark and the flood came and destroyed them all. 28 Likewise as it came to pass in the days of Lot. They did eat and drink, they bought and sold, they planted and built. 29 And in the day that Lot went out of Sodom, it rained fire and brimstone from heaven and destroyed them all. 30 Even thus shall it be in the day when the Son of man shall be revealed. However Jesus's point is that it might happen from one day to the next, without warning, no signs and wonders. 34 I say to you: In that night there shall be two men in one bed. The one shall be taken and the other shall be left. 35 Two women shall be grinding together. The one shall be taken and the other shall be left. Two men shall be in the field. The one shall be taken and the other shall be left. No Woman Clothed with the Sun, no Sheep Kissing a Blushing Bride (as illustrated in manuscripts). Just the Rapture. But where do they go? the disciples want to know. 36 They answering, say to him: Where, Lord? 37 Who said to them: Wheresoever the body shall be, thither will the eagles also be gathered together. 20 And being asked by the Pharisees when the kingdom of God should come, he answering them and said: The kingdom of God cometh not with observation. 21 Neither shall they say: Behold here, or behold there. For lo, the kingdom of God is within you. Don't look for signs and wonders, but within. And if the kingdom of God is within, so is the kingdom of the Devil. Well, a movie that showed a guy sitting on an island night after night staring at the moon and writing wouldn't sell very well (although it made for some great paintings). The inner journey has to be expressed in outer images. There was a whole genre of that in the Eastern Mediterranean, sometimes as ascent to unseen realms in the sky, sometimes as prophecy about the future. They went together, like in my neighborhood video store and library, where horror movies and science fiction are one category. The language of the Hermetics' Aesclepius, lamenting the day when people will be prohibited from bringing gods down into statues, is the same as that of Revelation, lamenting something like the opposite. And instead of Dante's journey, there was Ezekiel's, and a whole tradition of Jewish "Merkabah" and "Hekhalot" literature (http://en.wikipedia.org/wiki/Merkabah_mysticism). Among the Platonists, there were the Chaldean Oracles, which talked about riders on horses, wondrous children, and rising to the light in company with their transformed bodies, just like the Book of Revelation only less repetitively (although they did advocate repetition of the experience). All of this was part of the world to which the 15th century Italian humanists were exposed, thanks to the crises in Constantinople and Spain. So horror and demons, laudably, were, as in Dante but more explicitly, part of the journey of the soul in this life. There arose a fashion for "Temptations of St. Anthony" and resisting devils as part of the "imitation of Christ" in various manuals (if not inner, at least personal). Such also was now the place of the imagery of the Last Days. It also made sense of the horrors people witnessed every day (war, famine, pestilence). It didn't necessarily mean the End was nigh (as Augustine had cautioned), but it was certainly part of the soul's journey. Jesus had said in Luke 17: "But first he must suffer many things and be rejected by this generation." That applied to the present as much as to the end of time. And to the images of the tarot, I think, by the latter part of the 15th century, however they were first conceived.